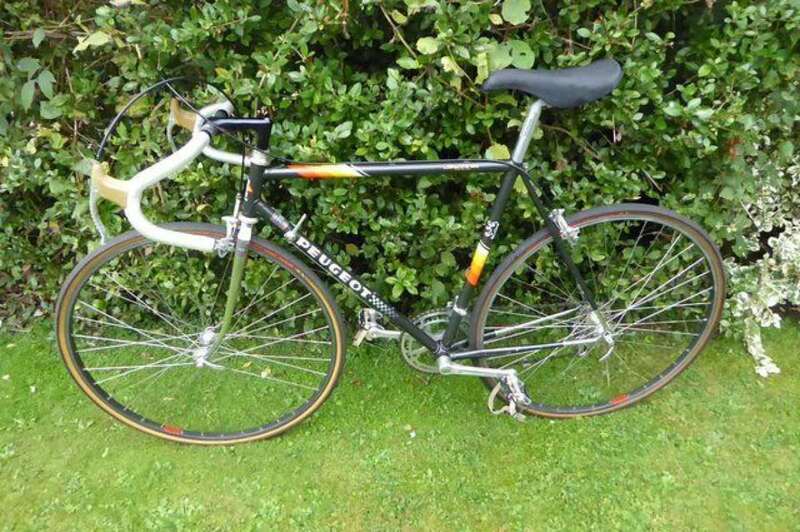 1986 Peugeot Perthus 753 bicycle for sale. Campagnolo groupset. Dark grey colour with chrome forks & rear chain stay & dropout. Some minor chip & scratchs but in good condition for 30 year old. 52 /42T chainset super record stamped 84, rear mech super record pat 84. Frame size seat tube 53cm ctc, top tube54cm ctc. 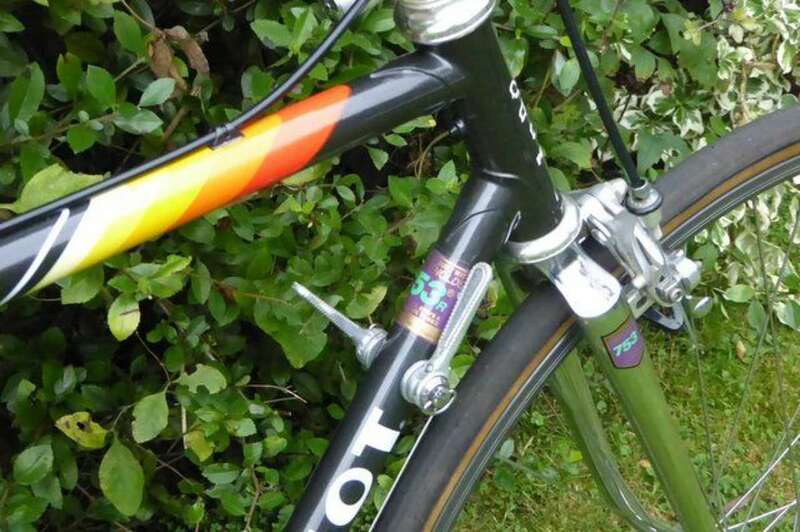 Cinelli XA stem, Cinelli 64 Giro D'Italia handle bars. 42 width. 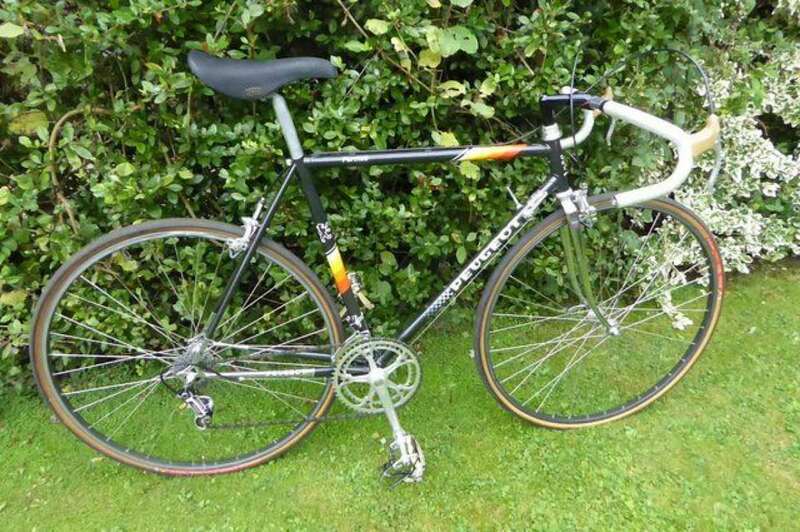 Mavix MA40 36H rims, Challenge Strada 25c tyres, only used on 2014 L'Eroia from new. San Marco Concor saddle 2014 model. With original Campagnolo pedal box, Superleggeri. Collect or £18.00 extra to post.